These get a lot of use when I bake and grill. Flipping the hot turkey and transferring it to a platter are a breeze when I wear these gloves. Dishwasher safe, too! 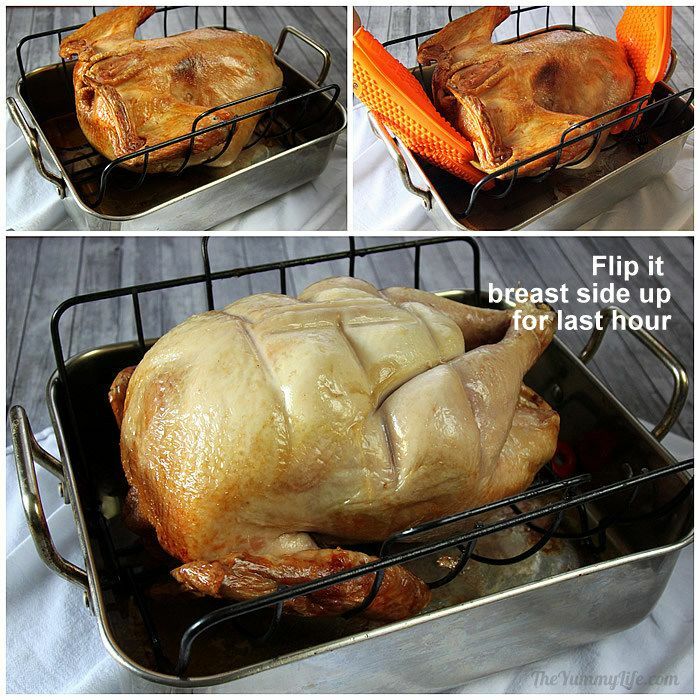 This makes it so much easier to transfer a turkey to a platter or cutting board. A center rod pulls out and the two sides of the rack can be easily removed to leave the turkey exactly where you want it. An Amazon best seller, this is a sturdy, stainless steel pan made by Cuisinart. It comes with a roasting rack, too. I use this for brushing the turkey with olive oil and prefer it over one with natural bristles. It's heat tolerant and is dishwasher safe. This has many handy uses in the kitchen. I used it to tie the turkey legs together. This tool is essential for checking your oven's temperature accuracy to determine if you need to make adjustments in recipe temperature and time recommendations. A tried-and-true recipe for making a perfectly cooked and moist turkey every time. Remove turkey from refrigerator and allow to rest at room temperature for 30 minutes. Place oven rack in lowest position. Preheat oven to 400 degrees. Coat roasting pan and rack with cooking spray and set aside. 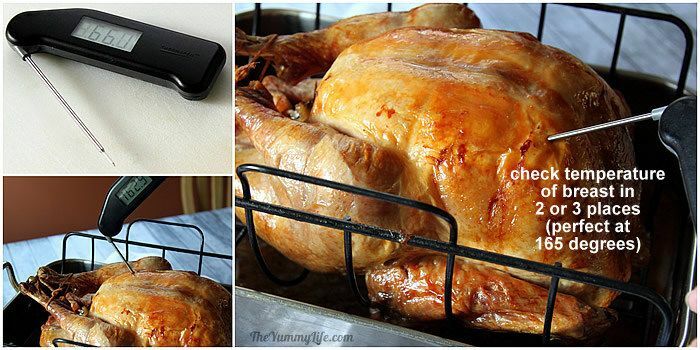 If turkey has a metal or plastic clamp holding the legs together, remove and discard it. Add salt and pepper to the turkey cavity and rub with hand to distribute inside cavity. Stuff the cavity with lemon, onion (reserving one onion quarter), and herbs. Overlap skin at cavity opening to cover as much of gap as possible; use toothpicks or small turkey skewers, if needed, to hold skin in place. Tie legs together with twine. Insert remaining onion quarter under skin covering neck cavity. Tuck wing tips under turkey body, using them to hold skin over neck cavity in place. Pat turkey dry with a paper towel and brush breast side all over with olive oil. Flip turkey over, breast side down, onto rack in roasting pan. Brush with olive oil so entire turkey is coated. Place in 400 degree oven uncovered. After 1 hour, lower heat to 350 degrees and cook for an additional hour for turkeys 14 pounds or larger (45 minutes for smaller turkeys). Remove from oven and flip turkey over so it is breast side up. Insert a remote probe thermometer into thickest part of thigh. Return turkey to oven and set thermometer monitor alarm to sound at 165 degrees. When thigh temperature reaches 165 to 170 degrees, remove from oven. Use an instant read thermometer to check temperature of other thigh. Also check thickest part of breast--it should be 160 degrees. If not, return to oven. Cooking times can vary. 13 minutes cooking time per pound is a good estimate. It should take a 14-16 pound turkey a total of 2-1/2 to 3-1/2 hours to cook. An 18 pound turkey takes closer to 4 hours. These times are ballpark and can vary; that's why using a thermometer is important for determining exactly when the turkey is done. When fully cooked, remove turkey from oven, cover with aluminum foil, and allow to rest undisturbed for a minimum of 30 minutes and up to 60 minutes. Carve and serve. After 34 years of roasting turkeys for Thanksgiving and Christmas meals, I've tried pretty much everything. I've bought turkeys that were fresh, frozen, kosher, pre-brined, self-basting, young, organic, big, small. You name it--I've tried it. I've brined, basted, not basted, cooked the whole bird in a bag, stuffed, unstuffed, dry rubbed--always in pursuit of the perfect roast turkey. I've tried methods recommended by Alton Brown, Ina Garten, Martha Stewart and more. In end, I've learned from them all, but none more than my mom. Those celebrity chefs have nothing on her. I should have just left well enough alone and cooked my turkeys the way my mom did. 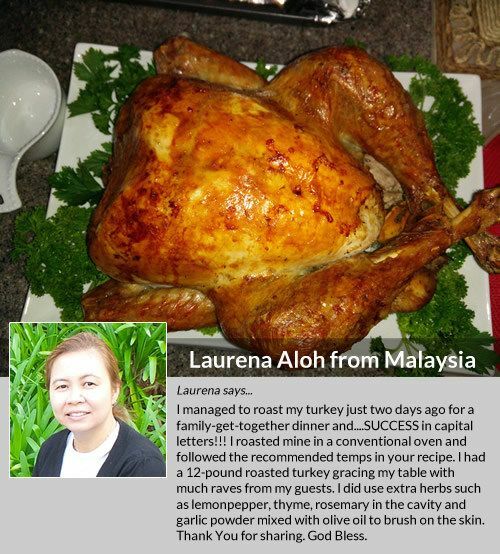 She understood how to roast a turkey that remains moist while being completely cooked throughout. I now roast my turkey Mom's way with a few tweaks I've learned along the way. Admittedly, there is more than one way to successfully roast a turkey. If you're a turkey cooking pro with a method for roasting consistently great turkeys, well, kudos to you--keep doin' what you're doin'! 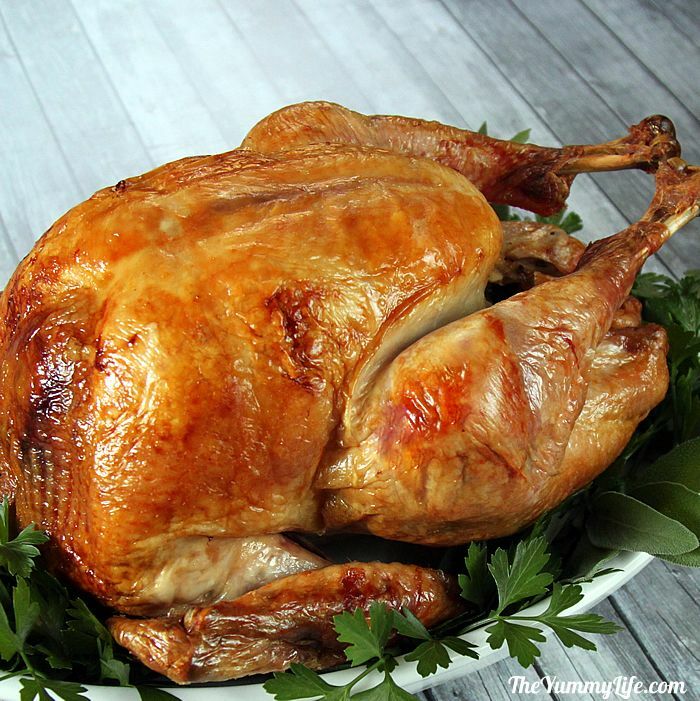 This post is for beginners who've never cooked a turkey and for those who have roasted turkeys in the past with unsatisfactory results and don't know why. 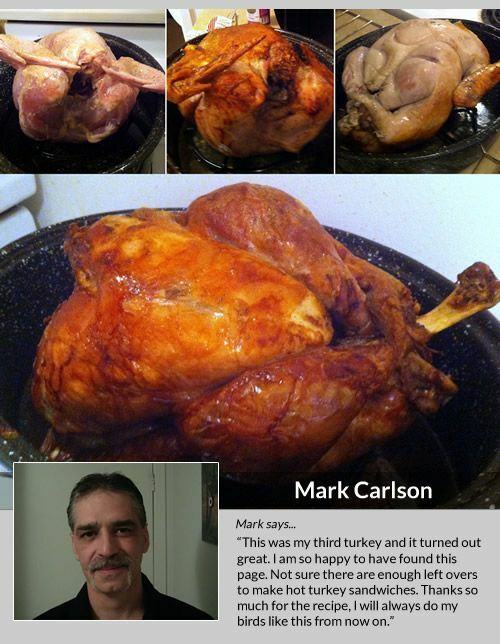 I'm sharing in this post the simple method I've used numerous times that results in awesome, juicy turkeys every time. I'll begin with a summary of my tips, followed by a detailed step-by-step tutorial. Truth is, it's not hard or time consuming to roast a turkey. But, it can be intimidating if you don't know your way around one of these big birds. 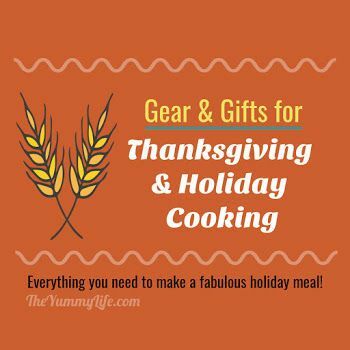 So, I hope I can eliminate the guesswork for you if you've never cooked a turkey or have struggled with inconsistent results (as I did for many years). Here are my simple, no-fuss tips. They're a combination of lessons learned from mom, various chefs, and lots of trial-and-error in my own kitchen through the years. Don't wash the turkey. Really? You heard me right. 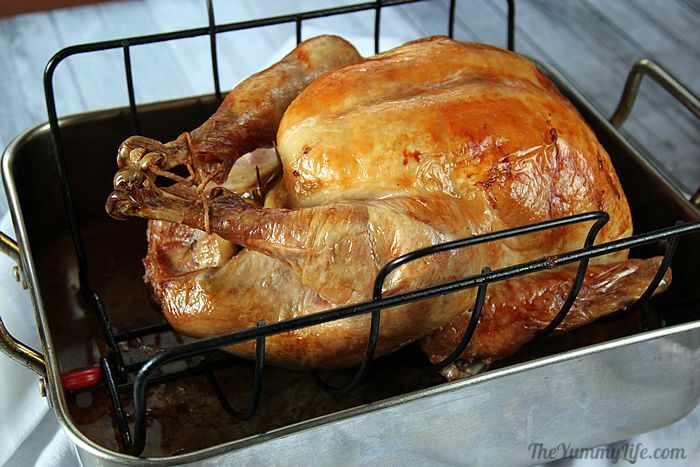 Washing the turkey can contaminate your kitchen as water and turkey germs spray. This advice comes straight from the USDA. It's no joke. Cooking the turkey to the right temperature will kill any bacteria that may be lingering in your turkey--you can't wash it away; so don't even try. Don't brine. To brine or not to brine? You'll find chefs who stand passionately on both sides of this issue. I'm not even going to try to settle it here. If you're a briner, go for it. Me? I don't find it to be worth the trouble. 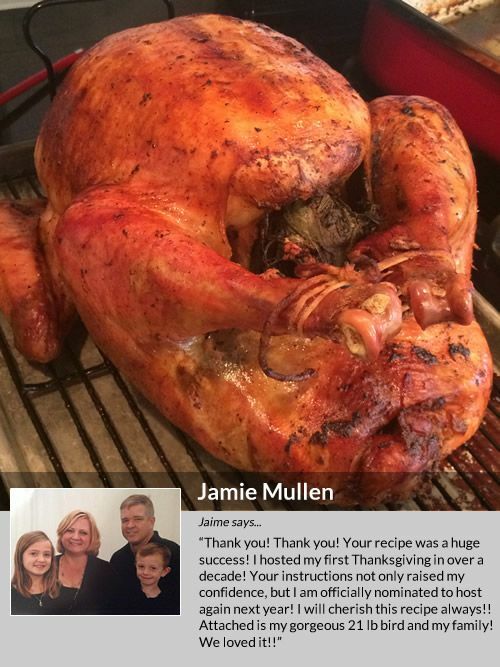 I get great tasting, moist turkeys using my simple steps explained in this post. I've tried brining and didn't find a significant difference. Sometimes I buy pre-brined turkeys from Trader Joe's, but I've abandoned brining them myself. Don't stuff the bird. Again, there are people strongly for and against stuffing a turkey. I'm against it. By the time the stuffing is cooked to a safe temperature, the turkey meat is likely to be overcooked. I personally prefer a drier stuffing with crispy edges; I cook mine in a casserole dish or bundt pan outside of the oven. (Check out my posts Make-Ahead Cornbread Stuffing recipe and Cornbread Stuffing in a Bundt Pan.) The turkey cooks faster and remains moist when it isn't stuffed. Don't cook it low and slow. The outside packaging of every turkey I've ever purchased recommends roasting the turkey at 325 degrees. Not me. I cook mine at a higher heat, and the happy result is that the turkey is juicier and cooks in much less time. 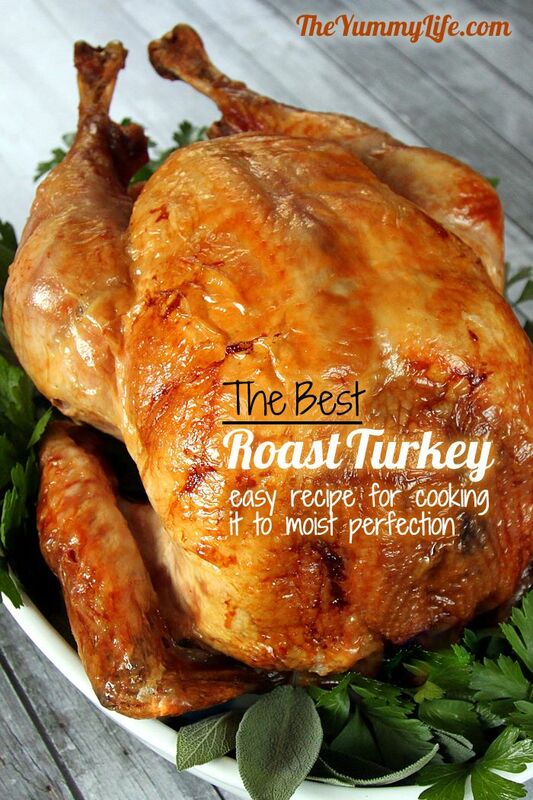 It doesn't have to take all day to roast a turkey to perfection. Don't baste the bird. Every time you open the oven door to baste, the oven loses heat, and the total cooking time required increases. Basting does nothing to moisturize the meat--it never penetrates the skin. Maybe it will give your turkey skin more unified browning, although even that is debatable. Basting is simply not necessary. Do test your oven's temperature acccuracy. All recipe cooking time and temperature recommendations will be unreliable if your oven temperature reading isn't accurate. If you aren't certain whether or not your oven is calibrated accurately, check it well in advance of roasting your turkey. Use an oven thermometer to test your oven. If you set the oven for 350 degrees and the thermometer reads higher or lower, raise or lower your temperature setting until you know where you need to set it in order for it to actually cook at 350 degrees. Also determine the correct setting for an actual temperature of 400 degrees. Those are the 2 temperatures used in this recipe for roasting a turkey. If your oven isn't heated to an accurate temperature, my time and temperature recommendations may not work for you. Do thoroughly thaw the turkey. Perhaps the biggest rookie mistake in preparing a turkey is not allowing enough time for it to thaw in the refrigerator. 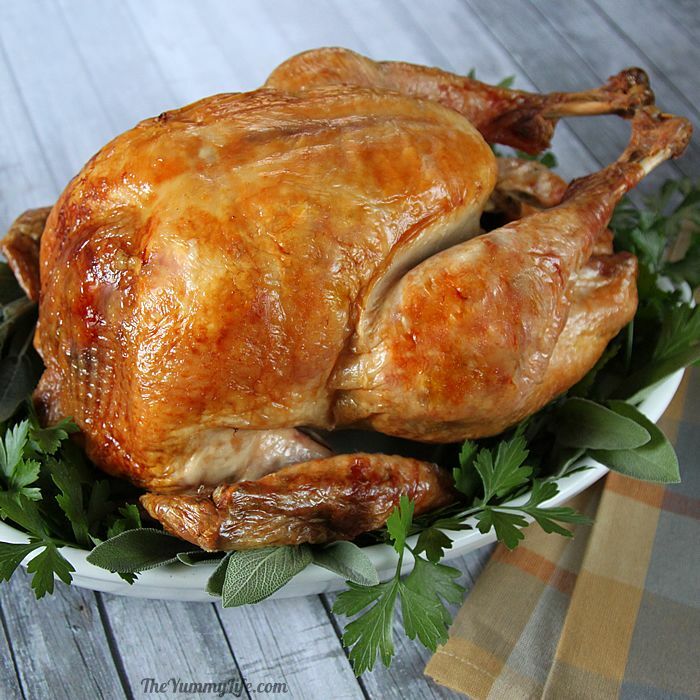 If you buy a frozen turkey, allow at least one day in the fridge for every 4-5 pounds. Never thaw it at room temperature, because the outside will warm to an unsafe, bacteria-friendly temperature before the inside is thawed. Plan on having it completely thawed the day before you'll cook it to guarantee no last-minute frozen turkey panic. (Been there!) If not completely thawed, it will take the turkey longer to cook completely, and the turkey won't cook evenly. It will likely be overcooked and dry near the outside before it is completely cooked inside. Do add flavor from the inside out. Add seasonings, onion, and lemon to the inside cavity of the turkey. They infuse flavor and moisture into the meat and drippings, resulting in tastier turkey and gravy (made from the drippings). See step 7 below for more specifics. Do cook the turkey at higher heat for the first hour. This seals in the juices and crisps the skin. Do cook the turkey breast side down in the beginning and flip it over for the last hour. This way gravity sends some moisture in the naturally juicier dark meat above into the breast meat below. Also, the bottom of the turkey gets nicely browned & cooked from being on top in the beginning. See steps 14 & 15 below for more instructions. Do use a thermometer to cook the turkey to exactly the right temperature. This is hugely important and perhaps the most important of all of these tips. There isn't another reliable method for knowing exactly when your turkey is fully cooked, because there are too many variables that determine the necessary cooking time--turkey size, type (heritage and organic turkeys can cook faster), starting temperature; anything added to the cavity (dressing or aromatics), type of rack/pan, oven heat (some heat unevenly or have unreliable thermostats, etc.). 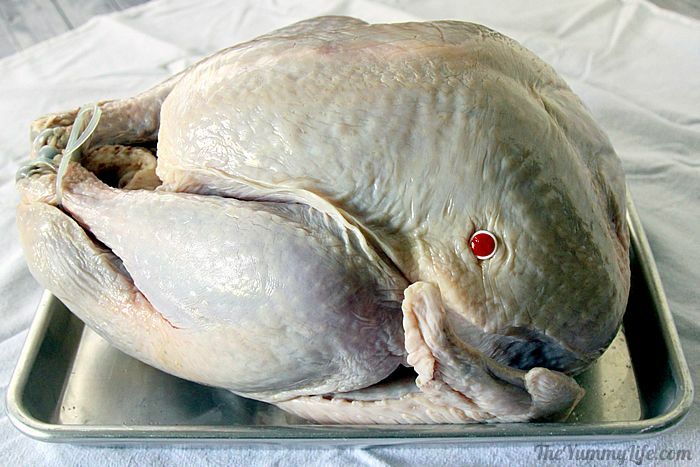 A remote probe thermometer is recommended--it stays in the turkey while it cooks and sounds an alarm when it has reached the perfect temperature. 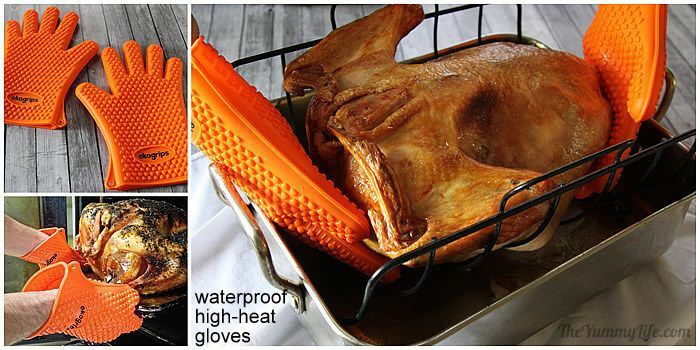 This eliminates the risk of over- or under-cooking the turkey. (An instant-read thermometer will suffice if you don't have a remote one.) See steps 16,17 & 18 below for instructions on how, when, and where to insert the thermometer. Do let the cooked turkey rest for at least 30 minutes. I let mine rest for as long as an hour. This allows the juices to settle in the turkey meat. If you carve it too soon out of the oven, the juices will run out and leave you with a dry turkey. Plus, during the resting time you can use the oven for cooking the stuffing, veggies, or rolls that accompany the meal. Everything will go more smoothly if you take inventory of what you need to have on hand before you begin preparing the turkey. Here are my tried-and-true recommendations. A roasting pan and rack. I like a sturdy stainless steel roasting pan. 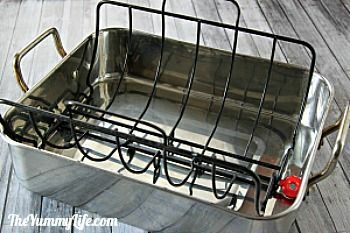 However, some people prefer to use disposable aluminum roasting pans (widely available in grocery stores in November) so they don't have to deal with clean up after the big meal. Many roasting pans come with racks. If you need to buy one, I highly recommend my pull-apart rack. It eliminates the awkwardness of lifting a heavy turkey off of the rack and onto a platter or cutting board. It has a rod that runs through the middle holding two sections together while the turkey cooks. After transferring the turkey to a platter, remove the rod, and the two sides pull apart and away leaving the turkey on the platter right where you want it. High heat, water-proof gloves. I originally bought these awesome gloves for use when I grill, but I find myself frequently reaching for them in place of my old cloth oven mitts. They make it so easy to handle the turkey. You'll see below that I flip my turkey over during the roasting process. I used to do that using folded paper towels, but I had to work quickly before the grease and heat soaked through and burned my hands. These gloves make it so easy. The gloves are washable in sudsy water or in the dishwasher. Kitchen twine. To tie the turkey legs together. Silicone pastry brush. For coating the turkey with olive oil (or melted butter) before it goes into the oven. I prefer this to a natural bristle brush and it's dishwasher safe for easy clean up. A good thermometer is a must. It's virtually impossible to know when your turkey is perfectly cooked without taking its internal temperature. I have two thermometers that I use when I roast a turkey. A remote probe thermometer. It inserts into the turkey while it cooks. The monitor attaches by a long oven-proof cord and sits on the counter outside the oven. (There are also pricier wireless probe thermometers, but I haven't tried them.) An alarm goes off when the turkey reaches the right temperature, so there's no taking it in and out of the oven to test for doneness. I also like that I can watch the temperature rise and make it easier to time when to cook the other dishes that will accompany the meal. 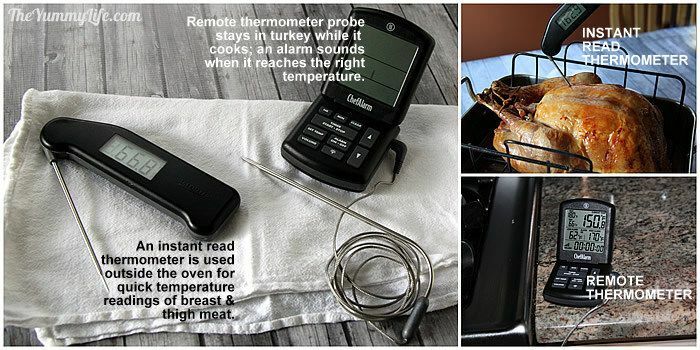 I use a probe thermometer when I cook meat in the oven or grill, too. Awesome gadget. An instant-read thermometer. I use this virtually every time I cook meat--oven, stove-top, or grill. For turkey, I use it after the remote thermometer alarm rings to check in several places on the thigh and breast to be sure that the turkey has reached the right temperature throughout. If you don't have a remote thermometer, you can get by using one of these to check the turkey's temp periodically as it cooks. I have a Thermapen that is the cream of the crop when it comes to thermometers. It's pricey, though. However, you can get a more affordable instant read thermometer that works well with similar features. But, seriously, if you don't have an instant read thermometer, get one! A thawed, room temperature turkey. Take it out of the fridge 30-60 minutes before it goes into the oven to bring it to room temperature and facilitate even cooking. The turkey pictured here is a 14 pounder. I've cooked everything from a cheapo frozen store brand turkey to an expensive, special ordered, fresh, organic turkey, and several kinds in between. In terms of taste, I've honestly found little difference when they are prepared according to my instructions in this post. In fact, the turkey photographed for this post was one that I purchased on sale after Thanksgiving last year. It was in my freezer for 11 months before I thawed and cooked it to prepare these photos. It was as moist and delicious as any I'd made before; truthfully, I was surprised how good it was after that much time in the freezer. Conclusion: how you cook the turkey is what matters most for flavor and moisture. Buy whatever kind of turkey appeals to you and your budget. Step 3. If your turkey comes with one of those red pop-up thermometers, pull it out and throw it away. They are very unreliable, and they can give you a false sense of security about cooking your turkey the right amount of time. In my early days of turkey roasting, I relied on them to tell me when the turkey was done, because I didn't know better. The usual results: overcooked, dry turkey. Sometimes, the turkey thighs were so undercooked, they were still bloody. One time, that thing didn't ever pop up. Just say NO to those useless gadgets. Step 4. Your turkey probably has a plastic or metal clamp thingie holding the legs together. If so, press down on the legs to release them from the clamp. You can leave the clamp in the bird, or remove it. I prefer to remove it. Step 5. Turkeys usually have necks and giblet bags inside. Remove the neck from the main cavity on the tail end. Step 6. 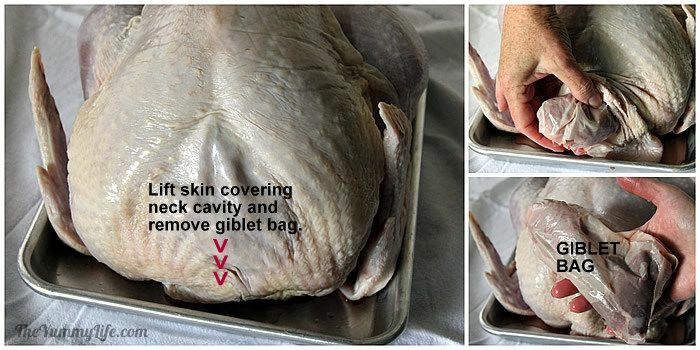 Remove the giblet bag from the cavity on the neck end. Step 7. Lower the tail, and add these to the inside cavity to flavor the turkey from the inside out as it cooks. Rub salt and pepper inside. Add lemon, onion, and herbs, reserving one of the onion quarters. Step 8. Move the tail back up toward the open cavity. Step 10. 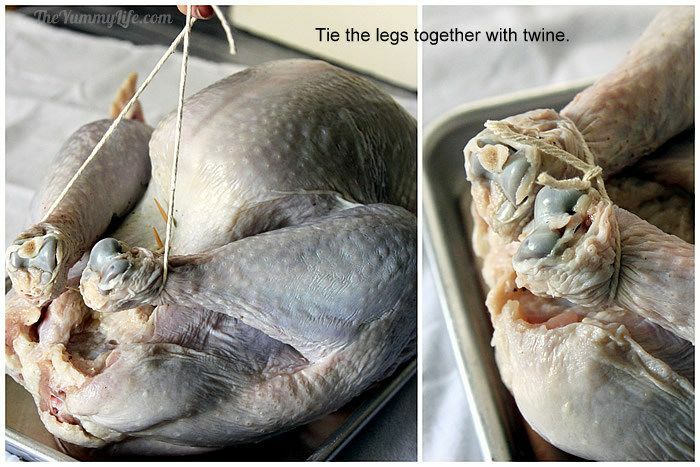 Tie the legs together with a piece of cooking twine. Step 11. Lift the skin covering the cavity at the neck end, and insert the reserved onion quarter. Pull the skin back down to cover the opening and hold the onion in place. Step 12. 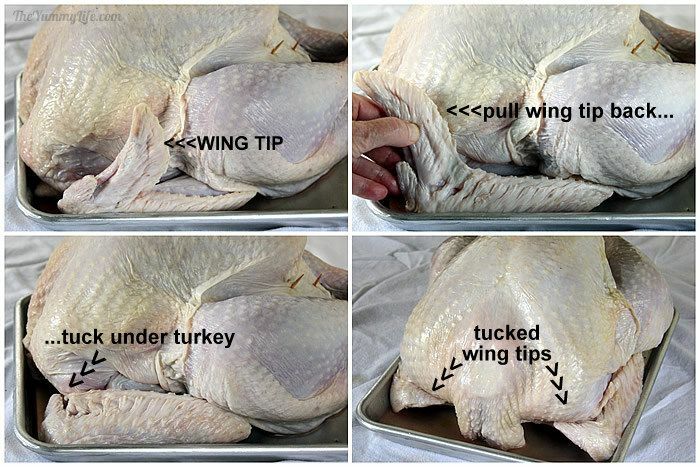 Pull each wing tip back and tuck them under the turkey. This keeps the wing from burning and the tips also help to hold the neck cavity skin in place. Step 13. 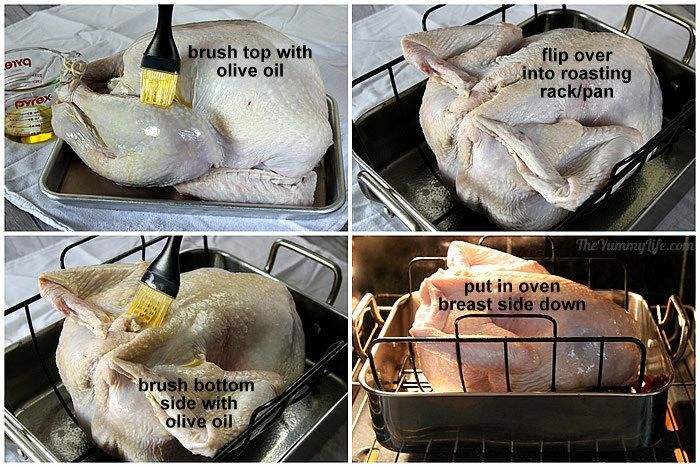 Dry the turkey with a paper towel and brush the top (breast side) all over with olive oil. (You may use melted butter, if you prefer). Flip the turkey over into the roasting rack and pan. Brush with olive oil so that the entire turkey has been oiled. You can sprinkle on some salt, pepper and/or dried herbs, if you want the skin seasoned. I don't bother with that--just olive oil on the skin for me. Step 14. Put the turkey into a 400 degree oven (still breast side down) for 1 hour, then reduce the temperature to 350. Step 15. After the turkey has been in the oven for a total of approx. 2 hours since it first went into the oven, remove it briefly from the oven. It should be nicely brown. Now flip it over so that it is breast side up for the remainder of the cooking time. This is where having heatproof, waterproof gloves come in handy. Just grab the bird and flip it over. If you don't have gloves, use folded paper towels on each end--flip quickly before the heat and grease penetrate the paper and burn your hands. NOTE: The ridges from the rack that are visible on the breast will bounce back as it cooks during the last hour. Step 16. 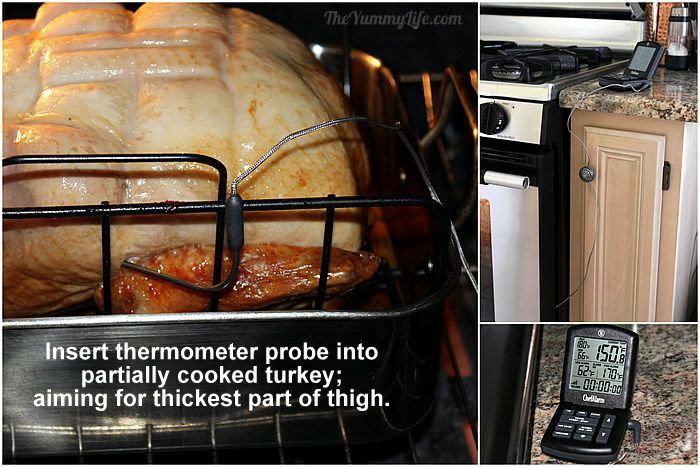 Before returning the turkey to the oven, insert the remote thermometer probe into the thickest part of the thigh. It's important not to put the probe against a bone or inside the cavity. Set the thermometer to sound an alarm when the thigh has reached 165-170 degrees. Where in the heck is the thickest part of the thigh? If you're confused about this, you have a lot of company. 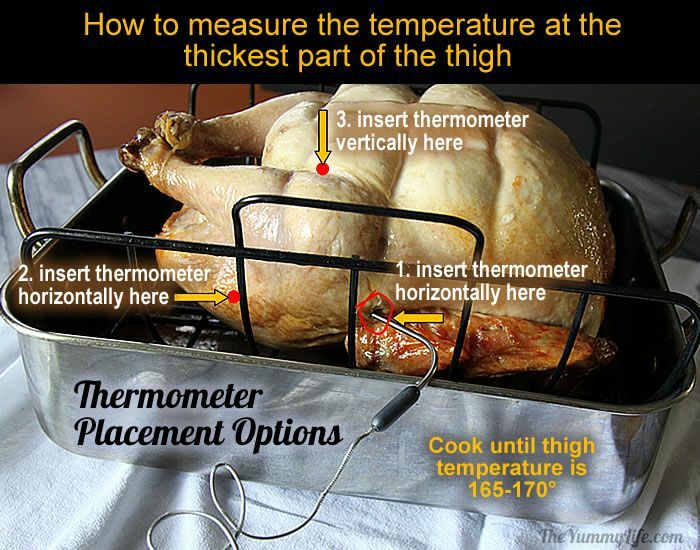 I've been frustrated most of my turkey cooking life by all of the instructions that tell me to take the temperature at the thickest part of the thigh without telling me how in the world to find it. You're supposed to avoid hitting a bone or the inside of the cavity. Really? How do I know when that has happened. Sure the bone is hard if I hit it, but how do I know if I'm too close to a bone? 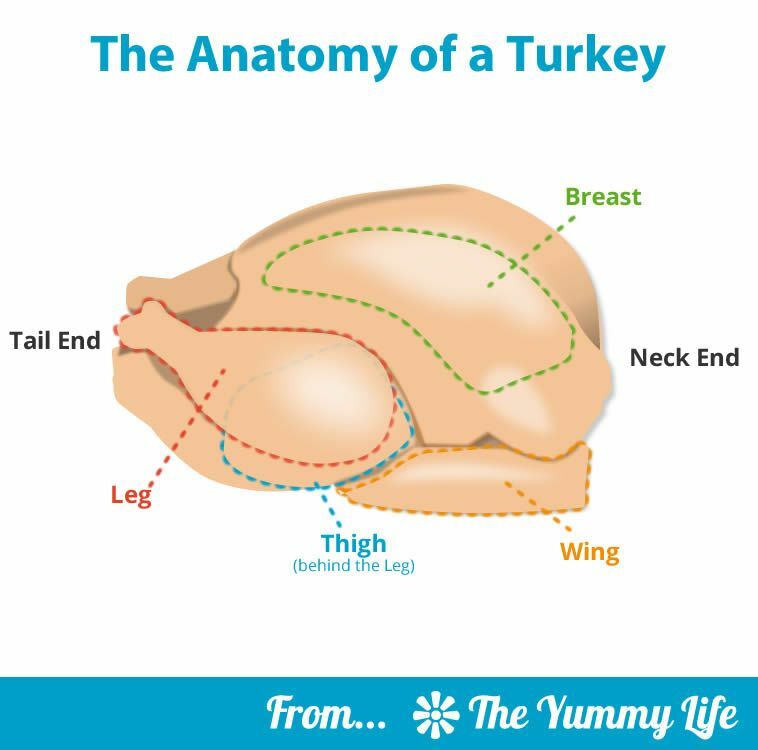 It helps to understand the location of a turkey's body parts. In the image below, you can see that the thigh is located beneath and behind the leg. Thanks to T-Man (techie guy) for creating this graphic. The photo below shows you 3 different places you can insert the thermometer to get to the thigh meat (#1 and #3 consistently work the best for me). But, how do you know how far to put it into the bird? It's impossible to answer that precisely, because every turkey is a little different (just like people). Not only does their size vary, but the position and angle of the legs & thighs can differ slightly. Insert the thermometer probe into the partially cooked turkey and keep an eye on the changing temperature as you're inserting it. Poke around and move the thermometer up and down or in and out until you find the coolest reading--that's the bulls eye--the thickest part of the thigh. Leave the thermometer in the spot with the coolest reading and return it to the oven. TIP: Tent the turkey, if necessary. To avoid over-browning on top, keep an eye on the turkey in the last hour and loosely tent it with aluminum foil if it's browned enough before the desired internal temperature is reached. This may or may not be necessary, depending on individual ovens--they don't all perform in the same way. I got a new stove 2 years ago that cooks much more evenly than my old one. In my old oven, I always had to tent my turkey in the last hour, but that hasn't been necessary in my new oven. Step 17. Remove the turkey from the oven and use an instant read thermometer to make sure the turkey is fully cooked throughout. Check the temperature in the thigh on the other side (some ovens cook unevenly). Also, be sure and check the thickest part of the breast (as pictured below)--it's best at 160 degrees out of the oven. The internal temperature will continue to rise approx. 5 degrees more after the turkey is removed from the oven. How long does it take the turkey to cook? Cooking times can vary. 13 minutes cooking time per pound is a good estimate. It should take a 14 lb. turkey 2- 1/2 to 3 total cooking hours, a 16 pound turkey 3 to 3 -1/2 hours, and an 18 pound turkey 3-1/2 to 4 hours. These times are ballpark; that's why using a thermometer is important for determining exactly when the turkey is done. When your temperature tests are a-okay and the turkey is fully cooked, leave it out to rest. Step 18. While it rests, cover the turkey loosely with foil. If you don't need the pan drippings for making gravy, you can leave it in the pan while it rests. (Check out my recipe for Make-Ahead Turkey Gravy, to avoid the last minute stress of making it while the turkey rests.) Otherwise, transfer the turkey to a platter or cutting board before covering it. Let the turkey rest for a minimum of 30 minutes to let the juices settle into the meat. I usually rest mine for 45-60 minutes--it's still hot and juicy inside after that long. The long rest gives me time to use the oven for baking other dishes like dressing, veggies, and rolls. 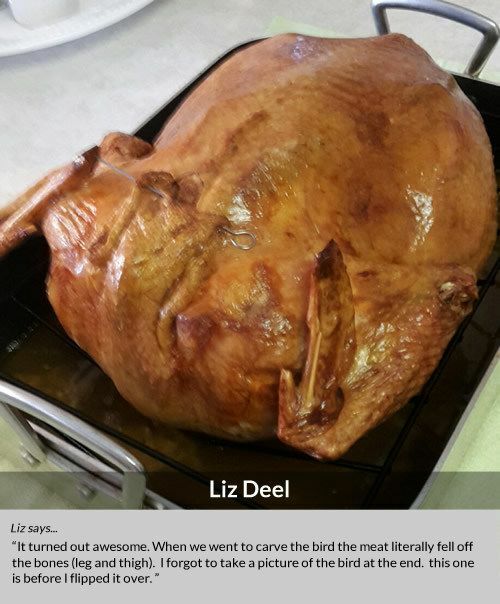 Want help with carving the turkey? That is not my forte--it's King-Man's job. 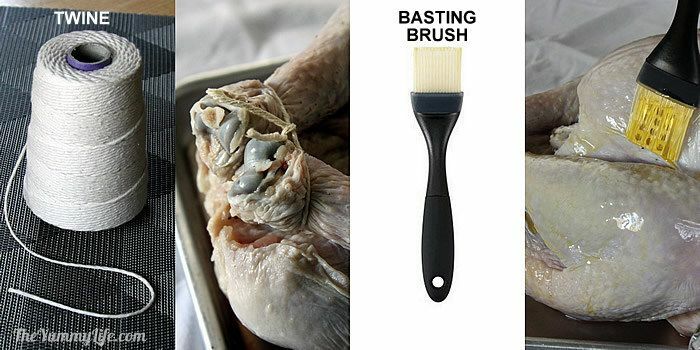 Here's a great step-by-step photo tutorial on How to Carve a Turkey. What to do with leftover herbs? Use them to garnish the turkey platter, or save them for flavoring turkey soup after the big meal is over. What to do with the turkey carcass & bones? Make broth or soup. Cook the carcass in seasoned water on the stove top or in a slow cooker. 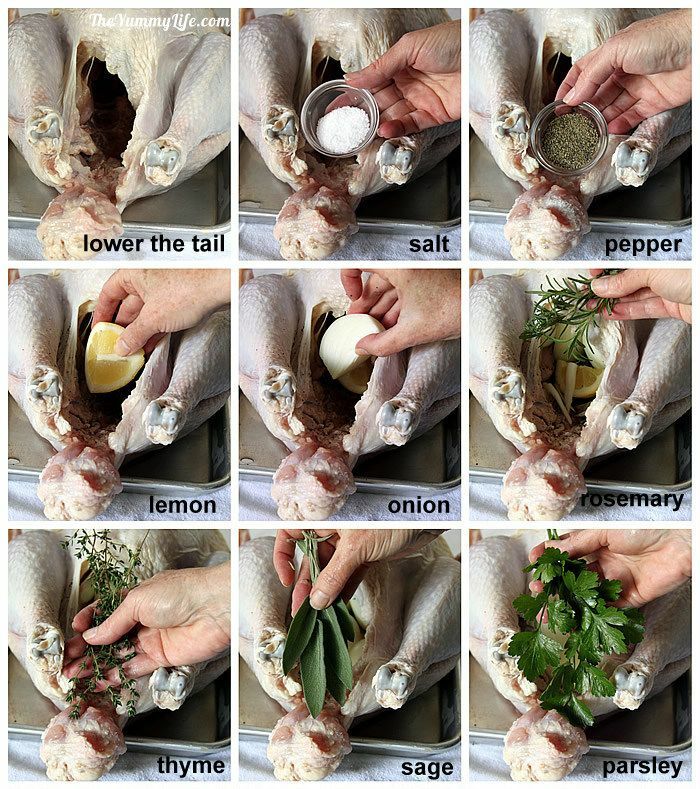 (You can also add the neck and giblets that were removed from the raw turkey.) The result is nourishing, delicious broth that is the perfect flavorful base for soup or any recipe that calls for chicken broth. You can use my recipe for making Nourishing Chicken Bone Broth, simply subbing turkey bones for the chicken bones. And, that is how to roast a perfect, flavorful, juicy turkey. There's more than one way to roast a turkey, and I'm not saying that my way is the only way. But, after previously struggling with inconsistent results, this method has worked well for me time and time again. Now all that's left is the eating. Gobble, gobble. This post contains Amazon and ThermoWorks affiliate links. I love it when my readers try my recipes and send in their success stories. If you'd like to share a picture of a Yummy Life recipe, just email the picture to info@theyummylife.com and we'll see if we can include it on the site!